Today’s POP RESCUE is 1983’s Love Is The Law – the seventh and final album by the band Toyah, but was this album legally binding? Or should you go out-law? The album bursts open with Broken Diamonds, which sees lead singer Toyah Wilcox put in a really strong vocal performance,mace over some delicious sounding synths and beats. Towards the end of the song, it switches for a while to give her a softer section, almost sinister at times. The chugging guitars of I Explode leads us into the next song, giving the song a fitting sense of pressure cooker urgency. It continues to chug along, again with Toyah putting in a real range of vocals from breathy ‘oohs’ to roaring ‘I EXPLODE!’ before turning into something little like a children’s TV baddie sounding, and then the song suddenly implodes and stops. Kudos for getting the word ‘smithereens’ into a song. This song played the role of b-side to her final single The Vow. The tempo drops as Toyah opens Rebel Of Love over a gentle little synth line. The song slowly builds from this delicate and somewhat hypnotic sound, to add in some extra synths and a slow beat. ‘Rebel Run’ by Toyah reached number 24 in the UK in 1983. Single Rebel Run is next, opening with some upbeat synth trumpet sounds. The song gave the band a #24 UK chart placing. There’s some curious lyrics here, including “we’re the hobos of planet patrol” and “you’ve got to learn to kiss the ground” – suggesting that Toyah is taking the underdog’s cause, the rebel, and perhaps for 1983 this would have chimed perfectly with their audience. Side one closes with the soft beats and plodding synth of Martian Cowboy. Toyah shows off her softer, gentle vocals here, as she woos the alien visitor with her breathy voice. This is quite a nice warm, soft exit for side one. Bass drum leads us like a heartbeat into the space-sounding Dreamscape of side two. It’s like Jean Michel Jarre doing an 80s Doctor Who episode, before the song comes bouncing in with Toyah’s vocals. This song aptly drifts along and acts as a nice gentle introduction to side two. Time Is Ours follows, and the pace pics up with guitar, dreamy synth, and up-beat drums. “I’m yearning” sings Toyah, and the intro sounds fairly dreamy/spacey. Again, Toyah’s vocals get to do somersaults as she bounces between verse and chorus with great ease. This could probably have found itself as a hit single amongst the rest of the 1983 singles chart, but sadly it didn’t get a release. Title track Love Is The Law follows this, opening with plenty of breathy vocals and a great up-beat tempo courtesy of guitar, beats and plenty of synths. This is possibly the catchiest song on here so far, and unlike some of the other tracks, it has quite simple lyrics that are easy to learn and find yourself singing along to before it gently fades out. This is followed by Remember which also feels pretty catch too, courtesy of dramatic vocals which at time give the roaring guitars a run for their money, and some catchy synth sections. This feels like it should have been a chart hit, but it doesn’t appear to have got a release. ‘The Vow’ stalled at #50 in the UK singles chart during November 1983. 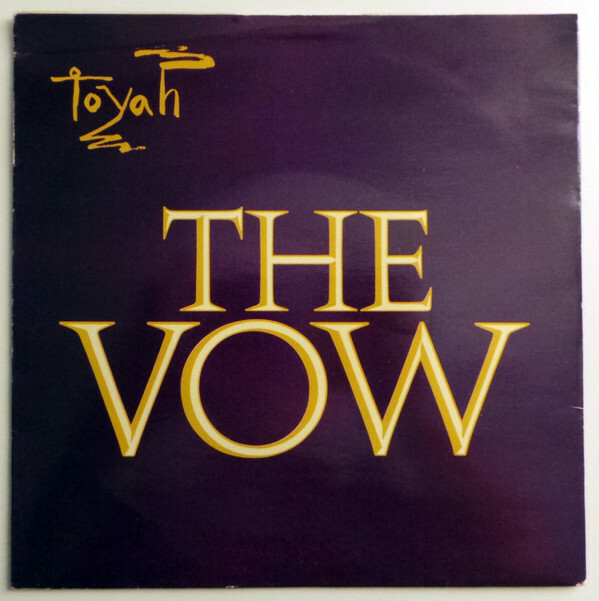 The album closes with second and final single The Vow. This opens like it’s going to be an acoustic ballad. In ways it is a ballad, but there’s also a sense of anger in here too – clearly don’t double cross Toyah. There’s some beautiful vocal harmonies here as the lines “and I breathe white fire in anger” appear over and over. The song builds up and up, before plummeting down to give Toyah space to show off her soft rich vocals one last time as the song comes to an end. Despite this being a great song, it sadly stalled in the UK chart at #50. Over all, there’s some wonderful 80s sounds and styles on this album. Having only seen Toyah Willcox in action as a TV star, this whole concept of her being a pop star has always been a curiosity. Whilst this is the last of her album she as part of a group, you get a great sense that she really knows how to perform, and the range of vocal styles demonstrated here are perhaps an indicator that she was due to go solo. Whilst my LP was a bit crackly during the playing of this, there’s still a few songs here that I’d return for. POP RESCUE COST: £1.00 from North Laine Antique and Flea Market, Brighton. Despite early success with releases in 1981, the group were beginning to slide down the charts. After the release of this album, they disbanded, with Toyah Willcox embarking on a solo musical career (also known as ‘Toyah’), and a diverse television career of acting and presenting which she continues to do today. Whilst the members of the Toyah band have been numerous, among the production credits for this album is Phil Harding, who together with Ian Curnow would go on to produce/remix many hits for Stock/Aitken/Waterman during the 1980s. The remaining members of the band have mostly remained in the music industry. Between 1997 and 2001, Toyah provided voices for hit children’s television series The Teletubbies, and by contrast in 2008, she was cast as the mother to Billie Piper, in the hugely popular Secret Diary Of A Call Girl series. During August-September 2016, Toyah Willcox and songwriting partner Simon Darlow brought a rock musical version of Dostoyevsky’s Crime & Punishment to the stage. Toyah Willcox continues to appear on TV and perform on tour. 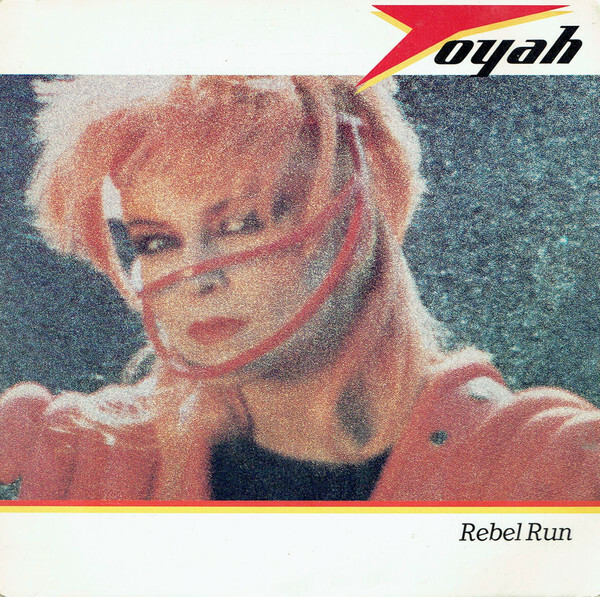 Posted in 1980s, ToyahTagged 1983, album, Love Is The Law, Rebel Run, review, Toyah, Toyah WillcoxBookmark the permalink.